Earthworm Jim is inseparable from the industrial drum clatter, shredding guitar solos and banjo interludes of its Tommy Tallarico soundtrack. But only as a figure of speech. If you had the Windows 95 or Megadrive version, and the kind of youthful ‘90s optimism that would lead you to pop a game disc in a CD player, you could play it completely separately as an album. 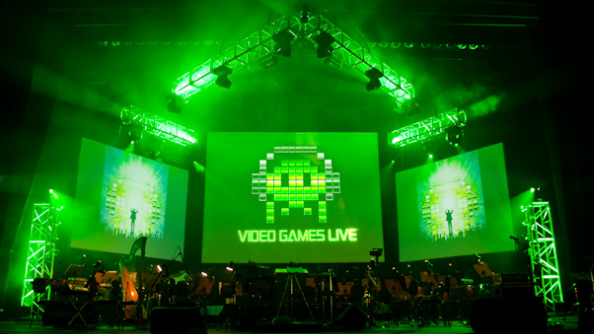 Want to hear the work of Video Games Live conductor Eimear Noone? Try StarCraft II, one of the best strategy games on PC. It’s a drive that’s seen Tallarico tour the world for the last 11 years. Although he holds the Guinness World Record for the highest number of game contributions in a lifetime (“Mum’s very proud”), he’s now better-known for the show he conceived with Mass Effect composer Jack Wall: Video Games Live. 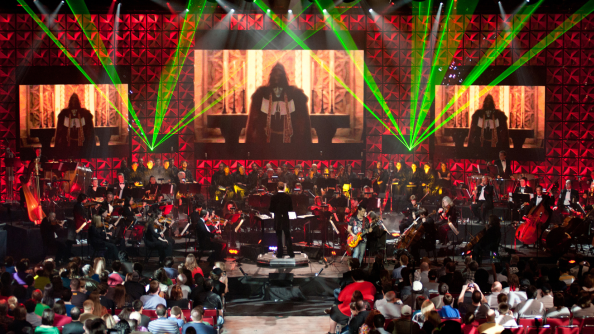 Built around a symphony orchestra, the not-quite-concert incorporates synchronised video, special effects, interactive segments, comedy, and rock ‘n’ roll. Over an evening, Video Games Live attempts to tell through performance the story of an industry and some of the standout games within it. One of the secrets to the show’s success – and it is successful, rivalled only by the likes of Bugs Bunny on Broadway and The Lord of the Rings in the orchestral touring stakes – is that cross-generational potential. Pensioners bring their grandchildren to the symphony for the first time. Zelda fans persuade mum to while away the evening with an arrangement from Ocarina of Time. Families leave the concert hall understanding each other a little better. It can be revelatory for the performers, too. When local instrumentalists sit down to work out the sheet music for Sonic the Hedgehog, they’re expecting transposed bleeps and bloops. “All of a sudden it’s like, ‘Oh, this is legitimate music’,” says Tallarico. “And then the show happens and 4,000 people are on their feet screaming and clapping, like it’s the second coming of The Beatles. Young people cheering for an orchestra. Contemporary gaming is, we know, stuffed with orchestral scores to pull from – but Tallarico seems to take particular pleasure in delving into earlier periods of less traditional instrumentation. In fact, he claims that’s the “easier stuff” to adapt. 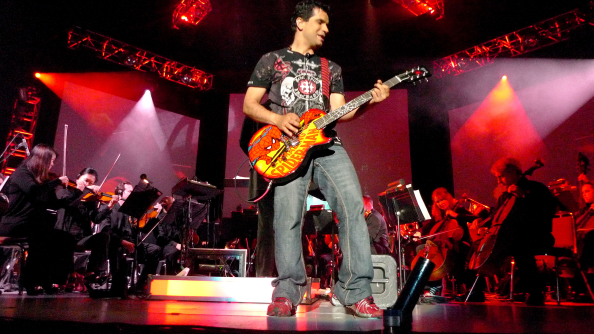 Over the last 14 years, Tallarico has arranged more than 160 segments for Video Games Live. There’s only time to play about 18 a night, so ahead of each performance, he asks for requests. By the fourth or fifth occasion the tour comes to a city, returning fans aren’t just asking for Warcraft and Halo – they want to hear Shadow of the Colossus, Chrono Trigger and Phoenix Wright. Consequently, the show has never had the same setlist twice. Tallarico is touring with go-to Blizzard conductor Eimear Noone – Video Games Live added Overwatch to their repertoire last summer – and has no trouble sourcing special guests delighted to see their work staged so extravagantly. This month, in London, Tallarico was joined by longtime Rare head of music Robin Beanland and Donkey Kong Country composer David Wise to perform their reworking of its jungle beat soundtrack. Austin Wintory, of Journey fame, flew over from California to hear the live premiere of his Assassin’s Creed Syndicate score in the city where it’s set. On stage, a Guinness World Records adjudicator presented Tallarico with two more certificates for his collection: Most Videogame Concerts Performed, and Largest Audience for a Live Videogame Music Concert. Video Games Live are currently Kickstarting their fifth album, Level Five. The European leg of 2016’s tour will conclude in early May.